From live cooking dinner sessions, ghost tours and theatre productions to crazy student nights out, the Town of Oaks has a plethora of after-dark activities on offer! We all know how Cape Town’s picturesque nature is backed by an equally charming nightlife, and Stellenbosch, although considerably smaller than the Mother City, has a nightlife rep of its own. Which is why we recommend you explore The Town of Oaks and its night time offerings. 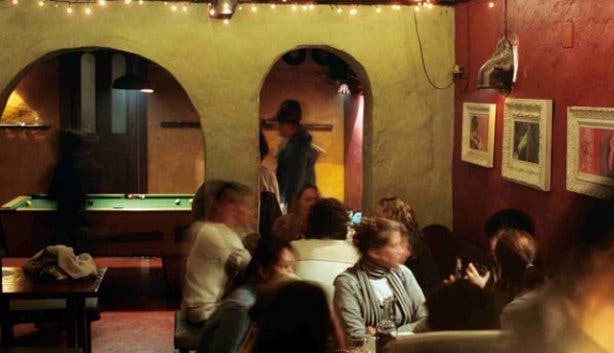 Choose from an array of bars and clubs that have their fair share of live music sessions and student specials or go on a ghost tour that reveals the history of Stellenbosch and, possibly, a ghost or two. If you love anything involving food, then we also have an offering that will satisfy the inner foodie. Basically, there’s an abundance of things to do in Stellenbosch once the sun sets, and if you’ve prepared well, you’ll have plenty of time to explore what this Winelands town has to offer. 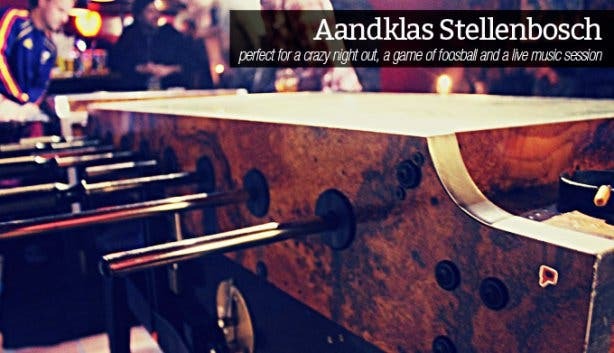 While the outside area may be draped with charming, twinkly fairy lights, what lies inside Aandklas is something quite different. 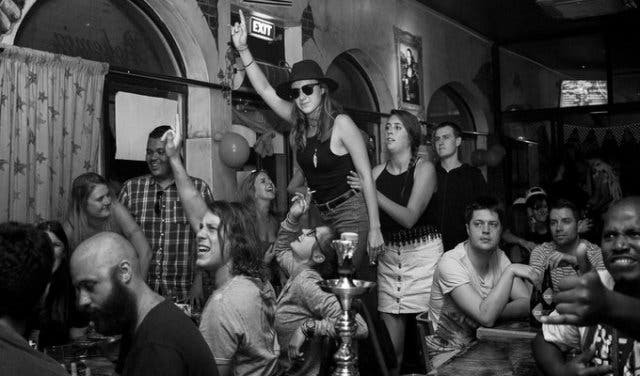 The student-focused bar is dark and smoky – in an alluring way- and offers a range of nightly distractions. We’re talking foosball, pool, beer pong, quiz nights; there’s something to do on every day of the week. Mondays are all about partying it up in true college style (beer pong), while Tuesdays are set aside for live music. On Thursdays the joint invites all nerds and quiz lovers to take part in a weekly trivia night, while Saturdays are all about having a lekker jol. 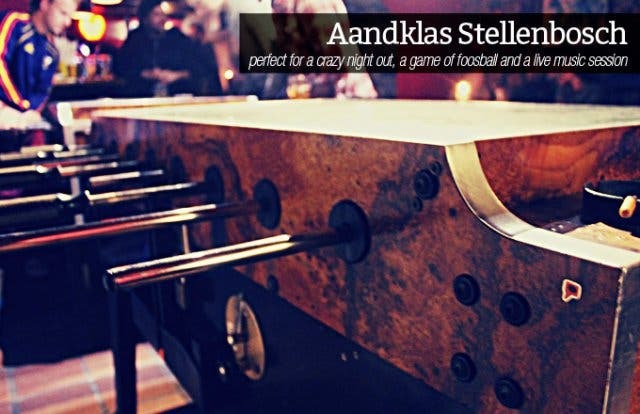 What’s more, drink specials as well as a kitchen that serves up delicious pizzas until the wee hours of the morning (1am) make Aandklas a great place to socialise with old and new friends alike. And of course, the dance floor makes it possible – and fun - to jam to the rock and metal tunes responsible for adding a soundtrack to wild and crazy nights at this local institution. Good to know: Most nights are free entry, and the most students/people can expect to pay is R30p/p. What is a café and restaurant by day transforms into a swanky bar with a chilled vibe by night. 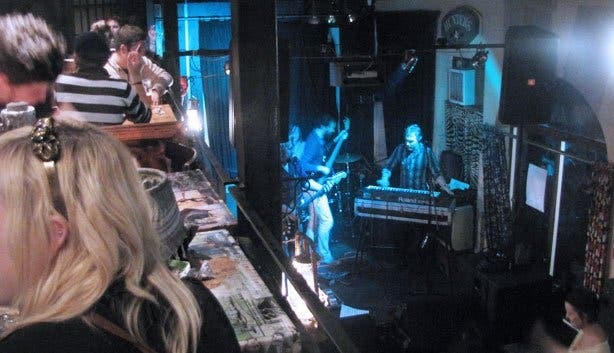 Located on Andringa Street, Julian’s is a lovely place to pop in for drinks with friends, have a casual chat and bop your head along to some funky, slow-wind tunes. The cocktail bar offers a comprehensive menu with classics, like mojitos, cosmos, margaritas; new creations; as well as a selection of wines and spirits. Good to know: Julian’s is big on specials, so much so that there is bound to be a discount on something on any day of the week! 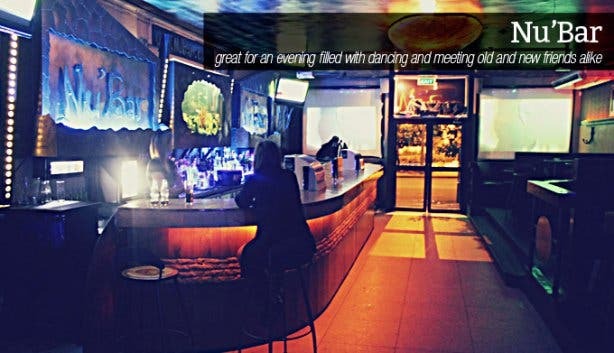 Want a place that can handle your amazing dance moves? Nu’Bar is it. 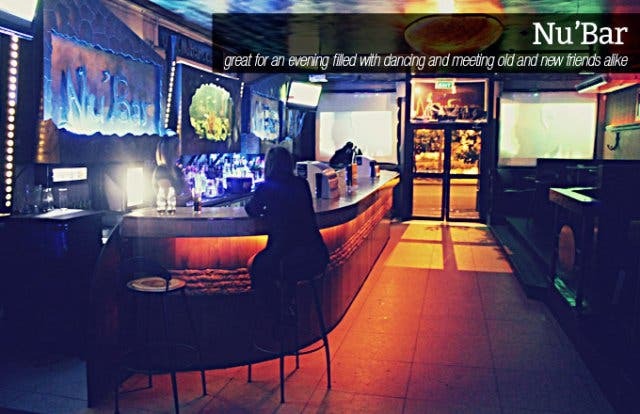 The upmarket club has both a nicely sized dance floor, which gives you the chance to live out your dance dreams, and a cool chill out area perfect for those not keen on the head-bopping side of life. While it primarily caters to students, the bar also opens itself up to an ‘older’ crowd. The haunt’s most thumping days are Wednesdays, Fridays and Saturdays, and every last Thursday of the month Nu’Bar plays host to “Afrikaans Night”, where party-goers get to jam along to some classic Afrikaans tunes. 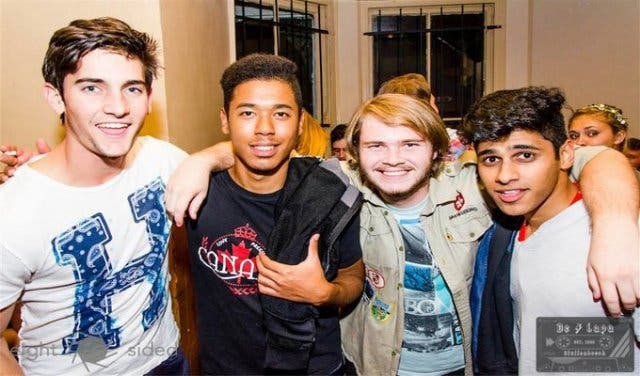 Manager Stephan Osborne says that Nu’Bar prides itself on creating a safe and secure place for students to have a good time – so party-goers can revel in the fact that they can dance the night away and still make it home in one piece. Good to know: Make an effort to dress up (no slops allowed), and since the bar caters mainly for students, it closes yearly on 15 December and is back in action and ready to entertain on 15 January of every year. If you’re looking to have outrageous fun with old school music, and old school prices then De Lapa Pub in Stellenbosch is the perfect spot for you. The two story pub caters for those who are in the mood for Golden Oldies with the downstairs bar; playing classics like Summer of 69 and Livin' on a Prayer. While upstair will have you squeeking your tekkies to deep house, trance and of course some calssic EDM tracks! The important part is of course the drinks, so be prepared for unreal prices and unreal drink combo's. The heart of the beautiful student town nightlife lies in this gem. Take it from us you will want to try the Robot Special. Wodering what is in store for you? Well you will get three cups, all filled with double Canes, the mixes will be green (Creme Soda), orange (Fanta Orange) and red (Sparletta). Goodluck and enjoy! Aptly named, this restaurant-bar is brought to life with its bohemian décor and cosy, easy-going (and sometimes wild) ambience. 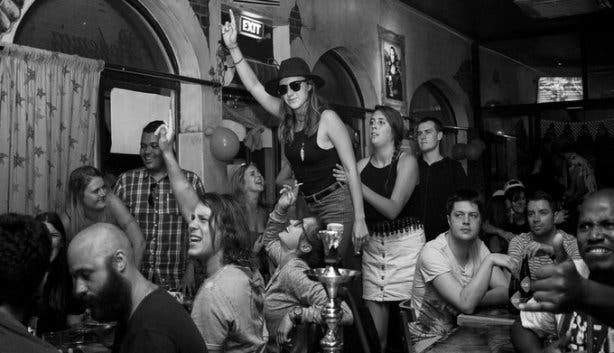 Bohemia serves up food and drinks until 2am and treats party-goers to live music, foosball, and hubbly bubbly. The L-shaped venue also boasts a veranda, an addition that makes it a perfect spot to chill with friends in a more ‘relaxed’ setting. Go there on a Wednesday for the crazy student night vibe. Bohemia is also a supporter of local and up-and-coming bands. Have a squiz at the Bohemia Facebook page for weekly event line-ups. Good to know:In terms of dress code, anything goes. While in close proximity to Bohemia, it’s worth noting that Die Mystic Boer, more commonly known as ‘Mystics’, offers quite a different vibe. Catering to the ‘alternative’ scene, Mystics prides itself on its pumping dance floor and non-mainstream tunes! While it does primarily count the student population as its primary clientele, Stellies locals and visitors alike will be pleased to know that Mystics opens up its doors to pretty much everyone. What’s more, the kitchen serves up tasty pizzas, burgers, nachos and other yummy offerings until the early hours of the morning. And finally, keep in mind that the vibey spot runs a daily special; two single vodka and lime drinks for R16, two Redd’s for R22 and many other offerings (students take note). 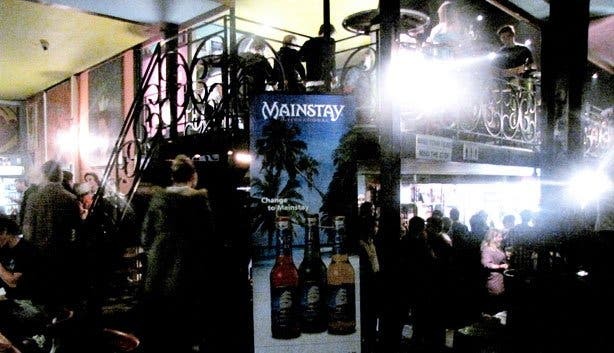 Good to know: Fridays play host to ‘Trance Nights’ – be sure to check out the Mystic Boer Facebook page for details. 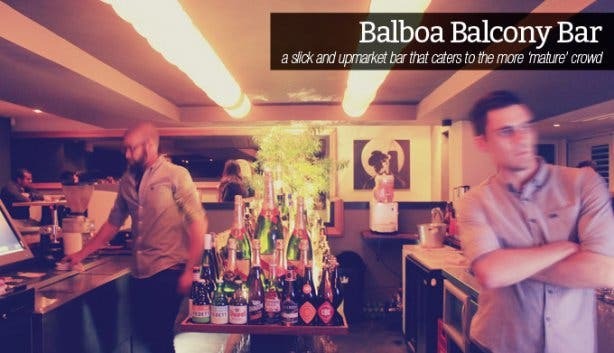 Balboa Bar is the new kid on the Stellenbosch block, and boy, is it a cool kid. Catering strictly to the ‘older’ crowd, the bar is an upmarket spot that fits perfectly into the ‘after-work drinks’ vibe. Not only is Balboa visually appealing with its dimmed light, low-hanging bulbs and comfy chairs, but it feeds the inner foodie too as it serves up an offering of delicious home-made nachos, pizzas and platters (think delicious cheese boards. Yum). 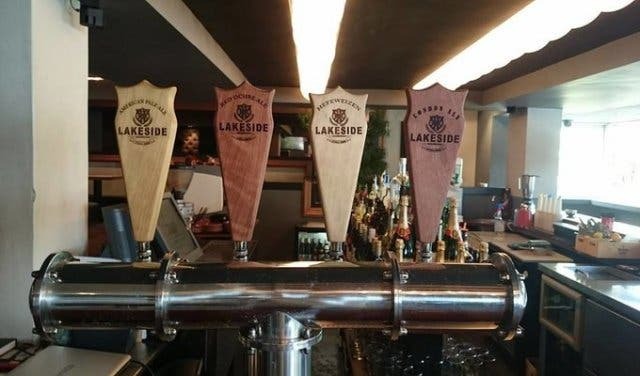 On the drinks side, patrons are treated to craft beer, wine and creations inspired by classic movies and actors, such as the Donnie Brasco, Al Pacino, Pulp Fiction, The King and The Italian Stallion – names that the older crowd will understand and appreciate. Strawberry and watermelon drinks are also freshly squeezed, giving the bar an even tastier appeal. Booking is recommended. Creating the perfect blend of a hangout spot, eatery and a place to have one heck of a good time, The Happy Oak (previously known as The Brazen Head) is worth checking out. 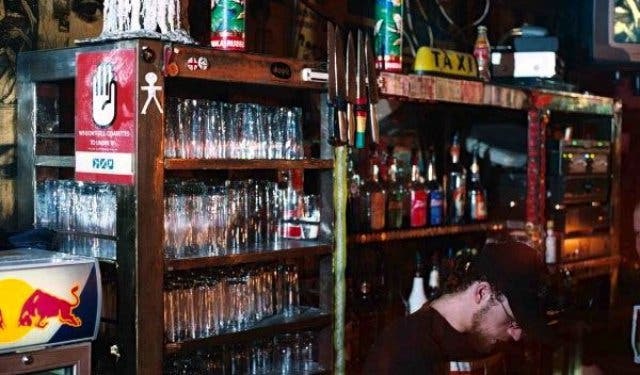 Catering to both young and old, the Andringa Street Irish-style pub is a great place to jam to cool tunes (recent pop hits as well as some throwbacks) while at the same time feasting on some delicious grub (think pizzas, yummy burgers and steaks). What’s more, The Happy Oak has a lovely offering of popular international beers and has a jam-packed line-up of things to do on specific days of the week: quiz night is on every Tuesday, and there’s also live music on Saturdays from 12pm to 5pm (excluding exam season and holidays). Sports fans will be pleased to know that they are also catered for with two big screens and six TVs. 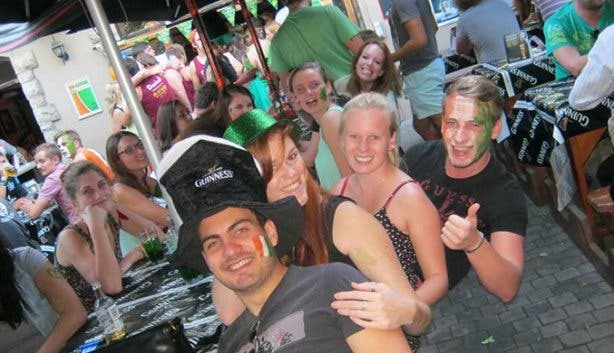 Oh, and what would an Irish-themed pub be without a good, old-fashioned St Patrick’s Day event every year? Good to know: The Happy Oak also caters for private functions and serves take-away platters. South Africa’s first township theatre restaurant is all about creating an unforgettable dining and theatrical experience. 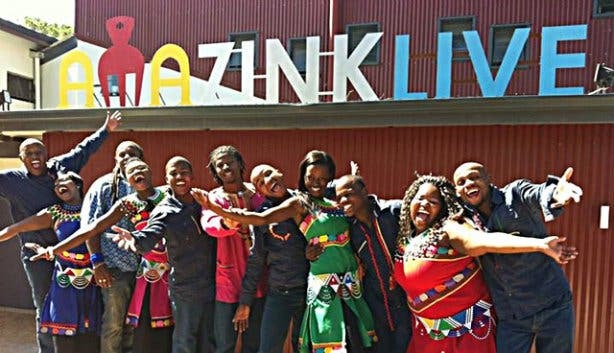 AmaZink Live, based in Kayamandi Township, brings together scrumptious South African cuisine (think vetkoek, tripe, pumpkin and dumplings) and a high-energy theatrical production in association with The Barnyard Theatre. 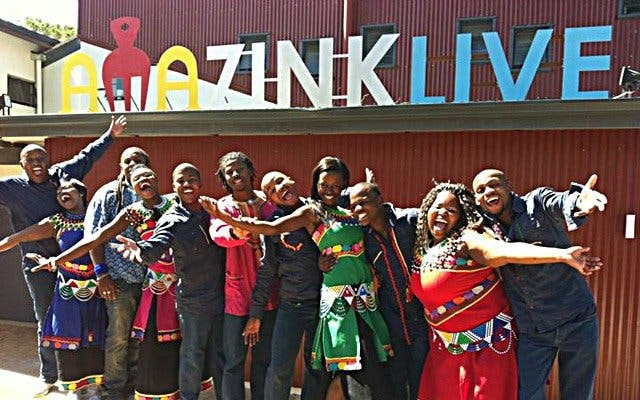 A night at AmaZink Live treats guests to a musical experience that honours SA legends like Miriam Makeba, Johnny Clegg, Mango Groove and more. Shows are written, directed and produced by some of Kayamandi’s finest talent – the performances are so popular that even locals can’t get enough and fall in love with the characters! 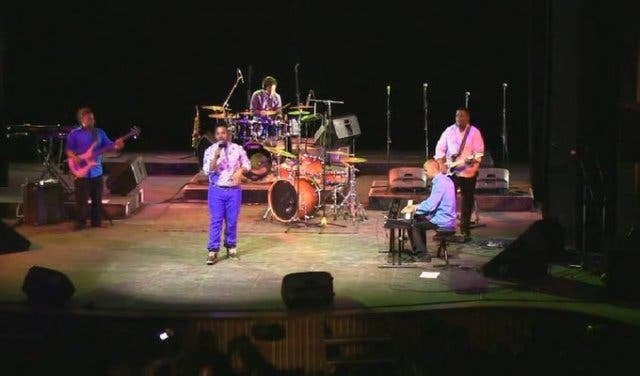 Once the show ends, attendees get to dance the night away on the dance floor and also purchase some artworks from local craft stalls set up at the AmaZink amphitheatre. 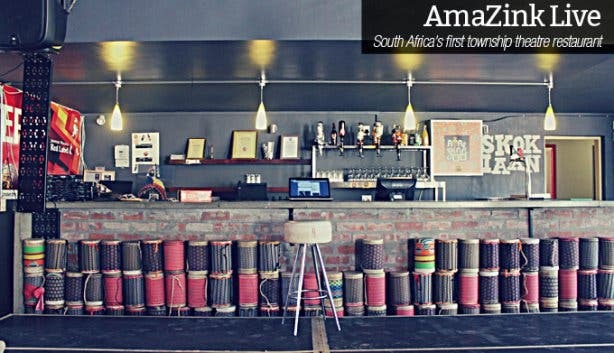 AmaZink also plays host to monthly poetry evenings hosted by InZync, a creative youth collective based in Stellenbosch. What started out as a drama club in 1960 has turned into a Fleur Du Cap award-winning theatre that is dedicated to showcasing the best of local talent. Located on Du Toit Street, Klein Libertas comprises a massive outdoor stage with plenty of room for spectators. 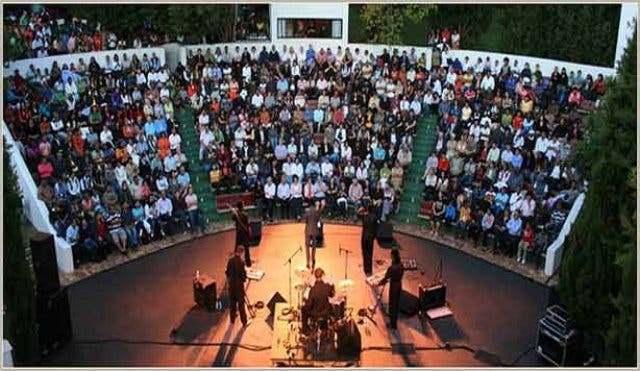 The stage and ambience create the perfect space for not only theatrical productions, but live music sessions under the stars as well. The likes of Lark, Die Antwoord and Dear Reader have graced its stages to great applause! These music sessions usually have a chilled ambience, making them a great way to get the night started. Good to know: It’s best to get pre-sold tickets to shows as they are significantly cheaper than when purchased at the door! Also check out the Klein Libertas site for the line-up. The HB Thom Teatre, situated at the University of Stellenbosch, offers a diverse range of predominately student-directed theatrical shows: think everything from drama to contemporary dance pieces! The theatre works around different themes each month, and stand-up comedy is a favourite amongst spectators. The theatre is also responsible for kick-starting the careers of directors such as Marthinus Basson, Elisha Zeeman and more. Good to know: Entrance fees are quite affordable and student, pensioner and block booking discounts are applicable. If you didn’t know, Stellenbosch has a lot of rich history - what with it being the second oldest town in South Africa and all. And of course, anything involving history is bound to have its fair share of spooky stories and ghost sightings. 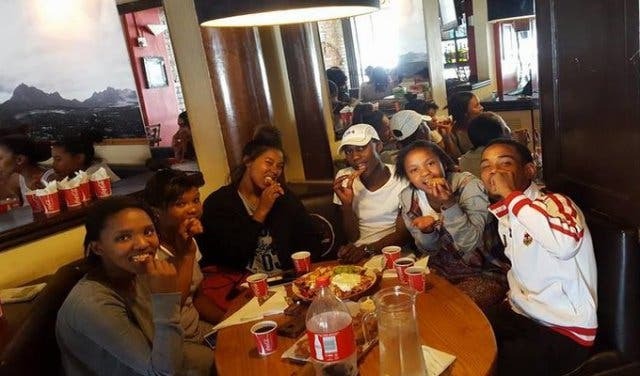 So it goes without saying that the Stellenbosch Ghost Tour is something worth doing as it offers a rather interesting and insightful way of getting to grips with what took place in the dorp over the years. Setting off every evening, the tour, hosted by Stellenbosch on Foot, shows explorers different parts and buildings of the town, giving the courageous a chance to see some of the oldest houses in South Africa and hear the stories behind them. The tour ends off with a scrumptious meal and a glass of wine at one of Stellenbosch’s lovely restaurants. Think of your two best friends (who can really cook) making you dinner in an amazing atmosphere that is made to come to life with music, wine, laughter and great company. That is pretty much what The Demo Kitchen is. 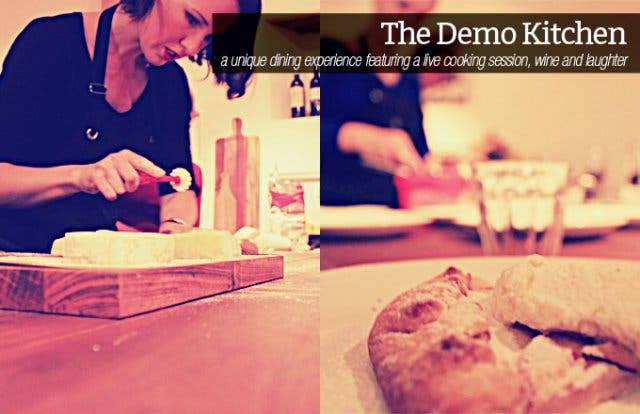 Founded by The Food Fox, Ilse van de Merwe, this unique dining concept invites 12 people to a three-course meal where they get to see, first-hand, how their food is prepared and even get the chance to help the chefs (Ilse and assistant Elsebe) with some of the preparations. What’s more – guests can bring their own wine and drink of choice at no extra cost. Dinners take place every Tuesday and Thursday, and booking is essential to avoid disappointment. This unique dining experience is a great way to not only enjoy a lovely meal, but to also meet new people! Good to know: The Demo Kitchen is also open from 9am to 5pm on Monday to Friday as a store that sells great kitchen utensils and organic tea. Evenings in Stellenbosch have an unexplainable yet distinct charm about them, and what better way to enjoy a night in the dorp than with great company over good food and wine? If you’re more of a bookworm, the café culture in the Town of Oaks also makes it possible for you to grab your favourite book, relax at a restaurant and take in the atmosphere. Here is an overview of some Stellenbosch restaurants to check out.